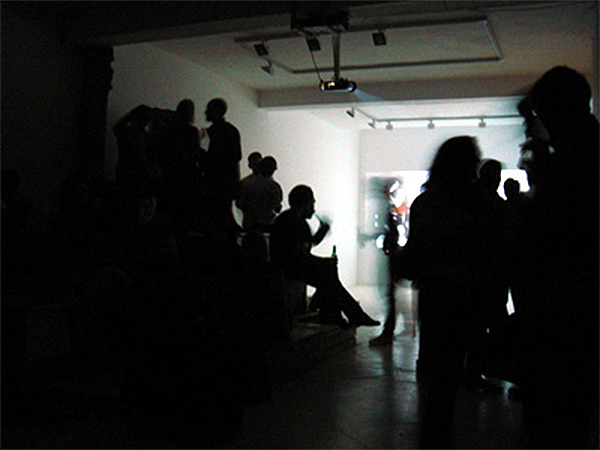 In the Summer of 2006, Max Wigram Gallery re-located their East London venue to their New Bond Street premises. 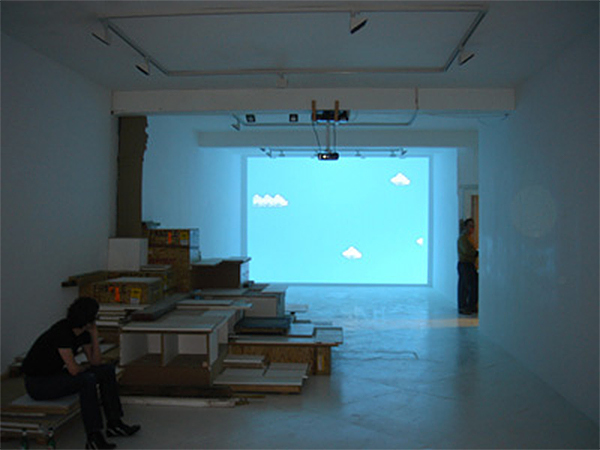 During the course of the move, the East London gallery (43b Mitchell Street, EC1) remained unoccupied for three months, before being returned to the landlord. 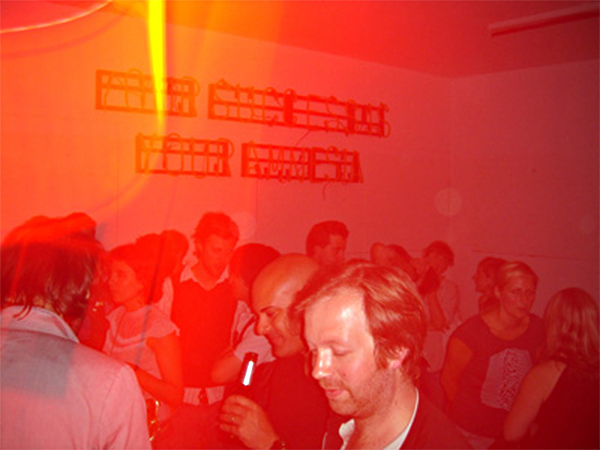 Markus Miessen and Ralf Pflugfelder were approached by Diana Baldon, curator and director of programme, to come up with a spatial strategy and programming for a temporary bar/project-space that would be operative over the course of the Summer and terminate during Frieze Art Fair. The entire Gallery space was disassembled into its individual components. All material that made up the previous space was used to construct a central stage. 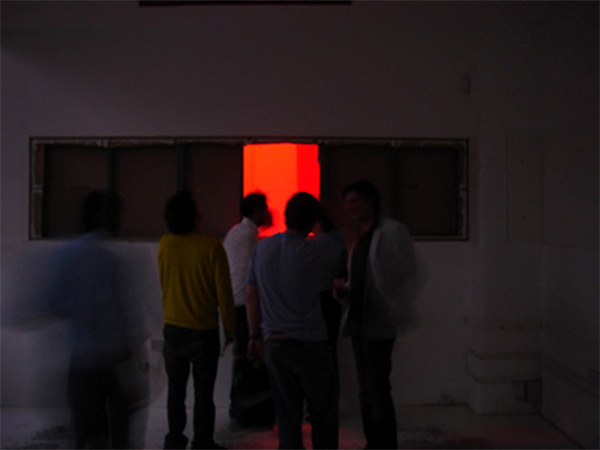 In order to cater for a bar counter that can be used during public events, the only remaining wall was foraminated; first in one, later in several locations to allow for an opera-singing performance behind the wall.